In July of 1953, at a glittering party thrown by Truman Capote in Portofino, Italy, Tennessee Williams and his longtime lover Frank Merlo meet Anja Blomgren, a mysteriously taciturn young Swedish beauty and aspiring actress. Their encounter will go on to alter all of their lives. Ten years later, Frank revisits the tempestuous events of that fateful summer from his deathbed in Manhattan, where he waits anxiously for Tennessee to visit him one final time. Anja, now legendary film icon Anja Bloom, lives as a recluse in the present-day U.S., until a young man connected to the events of 1953 lures her reluctantly back into the spotlight after he discovers she possesses the only surviving copy of Williams's final play. What keeps two people together and what breaks them apart? Can we save someone else if we can't save ourselves? Like The Master and The Hours, Leading Men seamlessly weaves fact and fiction to navigate the tensions between public figures and their private lives. In an ultimately heartbreaking story about the burdens of fame and the complex negotiations of life in the shadows of greatness, Castellani creates an unforgettable leading lady in Anja Bloom and reveals the hidden machinery of one of the great literary love stories of the twentieth-century. 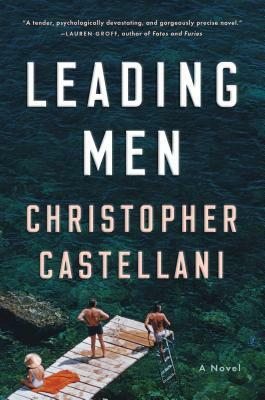 Christopher Castellani is the author of three previous novels (the trilogy A Kiss from Maddalena, The Saint of Lost Things, and All This Talk of Love) and The Art of Perspective, a book of essays on the craft of fiction. He is the son of Italian immigrants, a Guggenheim fellow, and the artistic director of GrubStreet, one of the country's leading creative writing centers. He lives in Boston.